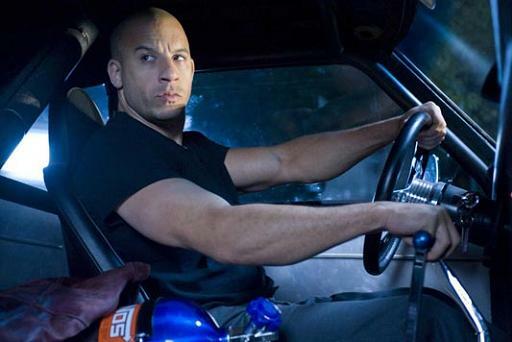 Any one who has seen the any one of the 5 Fast and Furious movies will most likely want to rush out and modify their car have glowing running lights underneath. This StreetGlow Fast and Furious Under Car Neon Light Kit is pretty slick and that’s great for car owners… but what about pet owners? What about pet owners who want their pets to be more like the cars from the fast and the furious movies? With your pets underside lit up, your pet will not only be super stylish but also super safe too. 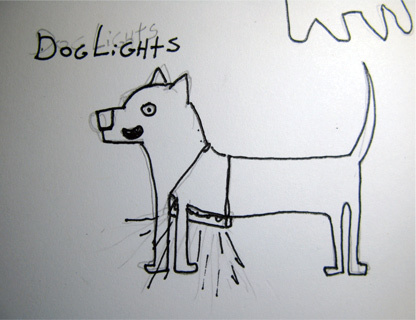 Here is a basic sketch of what your dog might look like sporting this awesome look. Here is a video of Bubs with a purple running light underneath. Notice how much more confident he is with the light attached. He’s looking faster and Furriester with just this simple mod. 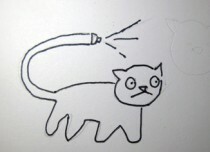 Awesome LED technology will allow us to easily improve upon our furry friends. 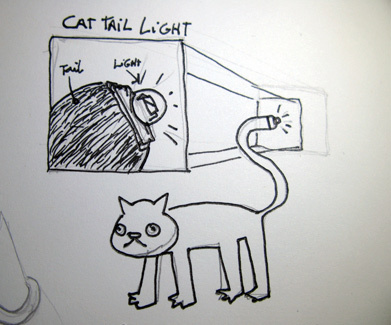 Check out this concept for a tail tip light for cats. 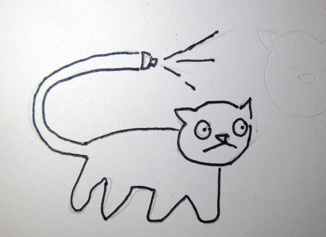 Just imagine how useful a cat with a small powerful light attached to the tip of its tail could be. It’s an exciting time to see technology and animals merging. This is certainly a fast growing market and industry where we are bound to see unimaginable innovation. Previous Previous post: Ping Pong Ball Shirt.